A finished room over a garage (FROG) can be a great addition to a home’s living space, but only if it is properly insulated. These rooms are notoriously difficult to heat in the winter and cool in the summer because builders tend to neglect insulating them during construction. Without proper insulation and air sealing, the exchange of conditioned and outside air in a finished room over a garage is left uncontrolled. This becomes a huge problem since air infiltration is responsible for the loss of 25-40% of the energy used to heat and cool a typical home. Not only does lack of insulation lead to higher utility bills, but this extra space in your house becomes impossible to use during the winter and summer months. Luckily, there is a solution! Fix your FROG with foam. 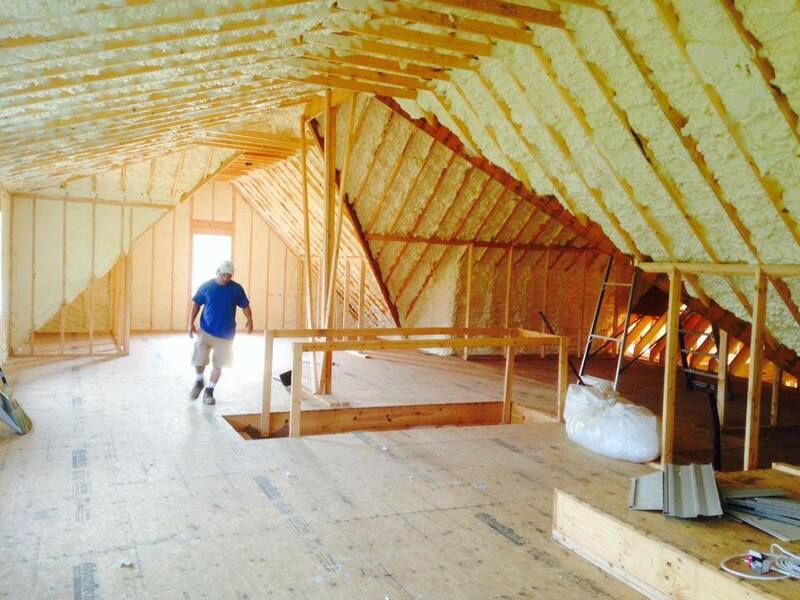 Using Icynene spray foam insulation, Creative Conservation has insulated and sealed thousands of bonus rooms. The difference in the level of comfort after retrofitting these rooms has resulted in many happy customers. Unlike traditional insulation, Icynene spray foam is installed by directly spraying the polyurethane foam into the wall cavities. It can also easily seal hard-to-reach places around electrical outlets and light fixtures. Cape Cod style homes often suffer from the same symptoms as FROGS. The upper level of a Cape Cod is notoriously uncomfortable during the winter and summer months. At Creative Conservation, we address problem areas in a Cape Code style home with Icynene spray foam insulation as well. This type of spray foam has been tested and evaluated by numerous industry associations, including ABAA, ICC-ES and CHPS. It is one of the most environmentally-friendly insulation options on the market today. Most importantly, it will result in a level of comfort you’ve never experienced before. Air sealing and insulation upgrades is one of the most cost-effective home performance improvements you can make. If you’re ready to turn the uncomfortable space over your garage into a cozy addition to your home, contact Creative Conservation today for a free estimate. We offer a full line of products and services for Finished Rooms Over Garages, as well as solutions for Cape Cod style homes.